The Super Action Controller Set is a set of two joysticks (each resembling a boxing glove) that came packaged with the game Super Action Baseball. 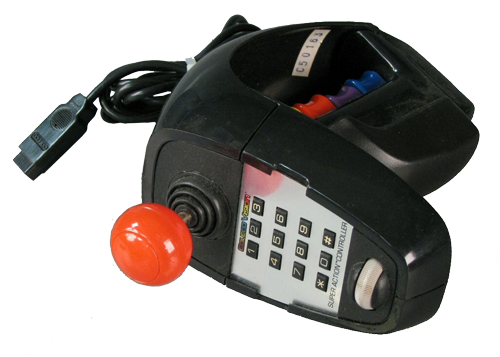 Each joystick has four action buttons, a 12-button numeric keypad, and a "speed roller". The Super Action Controllers are also compatible with the games Super Action Football, Rocky Super Action Boxing, and a port of the arcade game Front Line. Actually all the games should work with this controller. However, the games listed above are the ones that support the extra buttons.